Supported by the back, the neck is used to turn our heads and offer stability and balance. When injury is sustained to any of these regions, loss of motor function can occur. Neck and spinal injuries are very dangerous because they can potentially paralyze you or require intensive medical attention for the rest of your life. If you have been injured in an accident, you need the help of the spine and neck injury attorneys at Kurasch & Klein. 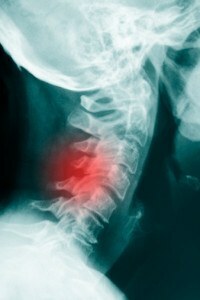 When to Find a Spine Injury Attorney in Illinois? CALL YOUR PERSONAL INJURY LAWYERS NOW AT 312-372-7250 – or CONTACT US ONLINE – THERE’S NEVER A CHARGE UNTIL WE WIN! If any of these situations apply to you, you should contact a neck injury lawyer at Kurasch & Klein immediately. Do not wait until your medical bills seem unbearable to get in touch with us. We have helped many people in the Chicago area fight for justice in their cases, and we will work to help you. Being named Illinois “Super Lawyers” by a vote of our peers since 2005 is no accident—we always put our clients best interests first. Loving what we do allows us to work for you as your personal injury lawyer with passion. Contact your personal injury lawyers at Kurasch & Klein today so that we can start fighting for you.